Last year was not kind to many biotech stocks. When investors abandoned high growth equities as the economy and market got rocky, biotech stocks were some of the first to go. This was especially true for many of the clinical-stage drug developers with no actually marketed products under their belts. The equal-weighted SPDR S&P Biotech (NYSEArca:XBI) — which has a high concentration of smaller biotech stocks — managed to lose around 24% in 2018. Investors clearly were not willing to gamble on those smaller stocks that don’t have revenues. But the new year is shaping to be a bit better for biotech stocks in general and those clinical-stage developers. So far, risk has once again returned to the menu and the effects of the government shutdown on the FDA are no longer an issue. Investors have once again taken a shine to early-stage drug developers. The XBI is up more than 16% year-to-date. And more gains could be in store for the clinical biotech stocks. Even better is that, prices for many of the earlier developers remain below their peaks. This gives investors plenty of chances to snag-up some promising drug firms with some serious potential under their belts. But which ones to buy? Here are five clinical stage biotech stocks to buy today. One of the hottest trends in biotech stocks is gene therapy. There are thousands of diseases and disorders are caused by faulty genes. In a nutshell, gene therapy is fixing those problems by either adding new genes to fight faulty ones, replacing/editing missing/broken genes or actually “turning off” the genes causing problems. It’s a major breakthrough and is just starting to get critical mass with the FDA and drug makers. On the ground floor of that is Nightstar Therapeutics (NASDAQ:NITE). NITE’s main focus is on gene therapies for patients who suffer from rare inherited retinal diseases that would otherwise progress to blindness. The biotech has several candidates in various trials. It’s lead product targeting a condition called choroideremia begun enrolling for phase 3 trials. Choroideremia is a rare disease that has no current treatments. Data so far for NITE’s work here has been more than promising and has received several fast-track FDA designations based on early data. But NITE isn’t done yet. The clinical stage biotech stock’s work on X-Linked Retinitis Pigmentosa — another genetic eye disease — has proven successful as well. Nightstar was successful in its “proof of concept” during the fall of last year. Phase 2/3 data is expected in mid-2019. Both of these as well as NITE’s full pipeline of other therapies could be very fruitful for investors over the next few years. And that makes the biotech stock a big buy. Clinical biotech stocks can win if they are able to offer something better than established treatments. That’s exactly Ra Pharmaceuticals’ (NASDAQ:RARX) bag. Generalized Myasthenia Gravis (gMG) is a serious condition that progressively weakens muscles. It’s rare and only around 60,000 Americans suffer from the disorder. The only drug approved to treat is the insanely priced Soliris. Soliris and its hefty price tag have allowed Alexion Pharmaceuticals (NASDAQ:ALXN) to reap billions in revenues. But that might end if RARX has its way. At the end of last year, RARX’s lead therapy zilucoplan posted amazing phase 2 results for gMG. Digging into the data, Ra’s drug was able to improve patients’ quantitative MG scores by 6 points. Soliris was approved after improving patients scores by just 4.6 points. Now, that Soliris improvement was at a much great rate than those receiving a placebo, RA wasn’t too far behind. What it really means is that RARX should be able to meet with the FDA to discuss the design of a phase 3 trial and work towards getting the drug approved. With a strong balance sheet and continued insider stock purchases, Ra Pharmaceuticals has plenty of potential to pay for that trial and actually see it to the end. For investors, with blockbuster replacement looming, RARX stock is alone biotech that shouldn’t’ be missed. Clinical stage biotech stocks tend to be gambles. That’s sort of the situation with Aurinia Pharmaceuticals (NASDAQ:AUPH). A ton hinges on a late-stage trial reporting at the end of the year. However, it’s a gamble that may be worth looking at. For AUPH, the mission remains to tackle lupus. Lupus remains one of the least understood auto-immune diseases. With lupus, the body’s immune system mistakenly attacks healthy tissue. That’s pretty bad by itself, however, many people often develop lupus nephritis (LN) and succumb to life-threatening kidney damage. Aurinia is developing a compound called voclosporin works by inhibiting an enzyme that activates immune cells. Voclosporin worked amazingly in phase 2 trials and had a high rate of success for LN patients. Aurinia should wrap phase 3 trials for the drug and LN treatments at the end of 2019. If it hits, analysts now peg sales of the medicine to fetch around $1 billion annually. Naturally, investors have placed a lot of stock on the drug and AUPH’s potential. If it hits, investors could be looking at huge blockbuster and a sharp increase in AUPH stock. And if it doesn’t, Aurinia may be ok as the firm is developing voclosporin for various indications as well. But given the potential, the firm may be one of the best clinical biotech stocks to buy for a gamble. Partnerships can mean big things for clinical stage biotech stocks. A prime example is Arena Pharmaceuticals (NASDAQ:ARNA). For starters, ARNA has a rich pipeline of treatments in mid-to-late stages of trials. This includes drugs for Ulcerative Colitis, Crohn’s Disease, and IBS. That alone is worth the price of admission. But where Arena could be winning is in its drug Ralinepag. Ralinepag has been touted as potentially a best-in-class medicine for treating pulmonary arterial hypertension. So, naturally, any biotech firm that has drugs already on the market that could be threatened by the future blockbuster is willing to bend over backward to defend their position. And that’s just United Therapeutics (NASDAQ:UTHR) did by paying Arena $800 million cash up-front as well as up to $400 million in milestone payments and double-digit royalties on sales in order to license Ralinepag. For Arena, this is a win-win. They get cash to develop it and other drugs in their platform and still are able to share in the long-term success of the drug. For investors, this is a big win as well and shows that ARNA’s management is thinking about the total portfolio and not just one drug. In the end, Arena should have enough money to make its pipeline a reality and get more of its drugs out to market. That makes the clinical biotech stock one to bet on. When it comes to late-stage biotech stocks or really any drug manufacturer, pipeline means everything. It’s what drives your valuation and future potential. Luckily for clinical-stage firm Galapagos (NASDAQ:GLPG), its pipeline is very robust indeed. GLPG has multiple late-stage programs as well as 25 different drugs in discovery/early trial stages. But what separates Galapagos is that that pipeline is actually churning out real results. Partnering with biotech-giant Gilead (NASDAQ:GILD), GLPG’s Filgotinib is quickly becoming a winner and after impressive phase-3 data, the duo has moved closer to marketing the drug rheumatoid arthritis. At the same time, Galapagos has scored wins in cystic fibrosis, idiopathic pulmonary fibrosis, systemic sclerosis and a fast-track designation for its osteoarthritis treatment. All in all, GLPG has many shots on goal to make it. That’s very important to a clinical-stage biotech stock. And yet, last years rout of the sector sent shares of GLPG downwards and they’ve stayed that way. Today, Galapagos is still about 17% below its 2018 peak of $117 per share. Given its huge pipeline — that is increasingly winning in trials — that difference may not last long. When it comes to clinical stage biotech stocks, GLPG is one you must own. 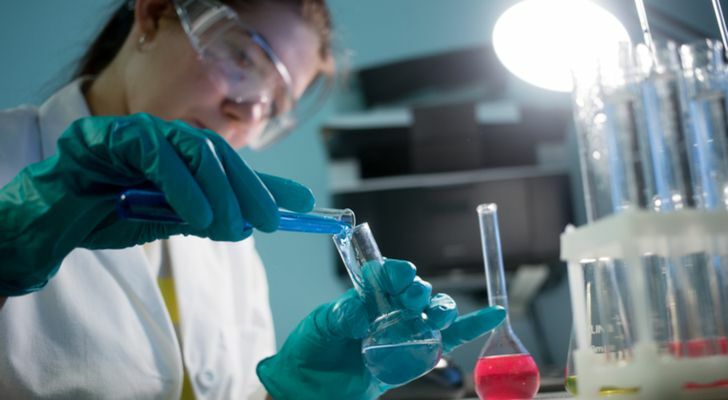 Article printed from InvestorPlace Media, https://investorplace.com/2019/02/5-clinical-stage-biotech-stocks-to-buy-fgim/.